InterValue that supports the Millions TPS practical blockchain 4.0 infrastructure has been officially open source. 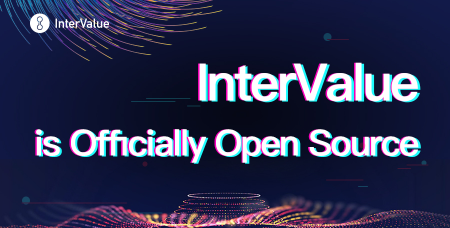 The InterValue team's open source code belongs to the core code part of the InterValue mainnet. The code is currently open on Github. This open source is intended to provide a more open development environment for the community and developers, attracting more technology enthusiasts and jointly accelerating technological innovation. The InterValue team welcomes developers from around the world to build an open and collaborative Blockchain 4.0 ecosystem. The InterValue Team Will Help to Build the Changsha Public Service Blockchain Platform. 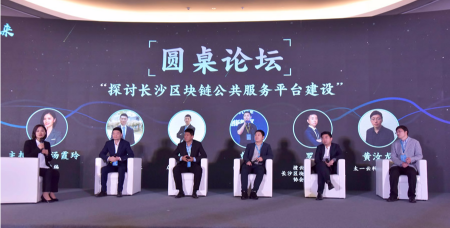 On April 2, 2019, the “2019 Internet Yuelu Summit” Blockchain Technology Application Forum was held at the Meixi Lake Cultural and Art Center in Changsha. The InterValue technical team participated in this forum as a co-organizer. 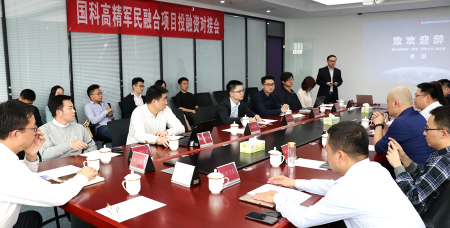 Hosted by Ms. Tang Xia Ling, Editor-in-Chief of 8btc.com, Dr. Cao Yuan, CEO of InterValue Team, Dr. Tan Lin, Board of Directors of Tianhe Guoyun, Li Rui, Vice President of PeerSafe, Luo Wei, President of SEUD, and Huang Rulong, Vice President of Tai, held a roundtable discussion to discuss "How to build a public service blockchain platform in Changsha City." Following the InterValue mainnet had been launched on the evening of February 17, 2019, as the official Wallet DApp of InterValue, the inWallet v3.3 was officially launched today. The inWallet v3.3 will bring a new blockchain wallet experience. Users can download and install it on the InterValue official website (www.inve.one) to experience the high speed and convenience of the inWallet. The inWallet v3.3 is the first public release of InterValue Wallet, and we will continue to update and optimize it. Users are welcome to provide feedback and work together to create a truly practical digital wallet. According to the news, The world's first support for the million-ton TPS practical blockchain 4.0 project - the InterValue mainnet officially launched on the evening of February 17, 2019 (GMT+8). The InterValue mainnet consists of the full node, local full node, relay node, and light node. InterValue mainnet online will create 10 billion INVE. And release INVE blockchain explorer. The new version of InterValue official inWallet wallet will be online in the next few days after the mainnet has online, it will have the second speed transaction, support multi-chain multi-wallet and other functions. At the same time, in the next few months, the InterValue team will launch the INVE Token Swap of the INVE ERC20 token. Dr. Jason Loong of InterValue - How to Build a Trusted Payment Platform. According to official announcement, InterValue has officially released the INVE ERC20 Token and announced the contract address: https://etherscan.io/token/0xdac4ae188ace3c8985765edc6c9b4739d4845ddc InterValue is the world’s first million TPS practical blockchain 4.0 project to support large-scale applications. The InterValue 2.0 testnet has been released, and a new HashNet consensus mechanism is designed and implemented. Transaction speed within one single shard exceeds 280,000 TPS and 4 million TPS for the whole network. It is in a leading position, InterValue will follow the original route to promote the related work, especially in the development of DApp and ecological construction. According to the official news from China Computer Federation (CCF), Barton Chao, Chairman of InterValue’s Technology Partner- Chenhan Information, and Dr. Jiang Xinwen, the professor of blockchain project, were selected into the CCF TCBC. 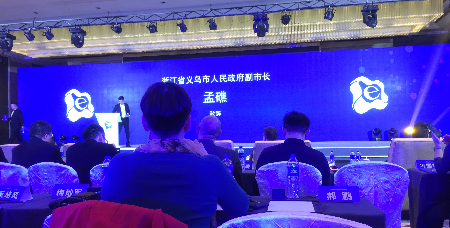 The member of Chenhan Information Co., Ltd. was selected by the China Computer Federation (CCF) TCBC, which marks the recognition of the company. It shows that Chenhan has a broader platform to participate in academic blockchain exchanges in China. At the same time, it will improve the level of technology application in China's blockchain field. Undoubtedly, Chenhan will devote to the development of blockchain. InterValue Implemented Turing-complete Smart Contract on DAG Successfully. According to official news, Barton Chao, founder of InterValue, will give a speech in Beijing's first blockchain restaurant on November 17, 2018. The theme is about “Practical Blockchain Infrastructure Industry”. In this lecture, Barton Chao will focus on "what functional features should be available in the practical blockchain; how to judge those scenarios suitable for blockchain technology; the implementation of supply chain financial scenarios; the practice of cross-border trade scenarios; detailed explanations on aspects such as transaction flow practice. InterValue (INVE, ERC20 Token) officially got listed on Hotbit on November 6 at 15:00 (UTC+8). Two trading pairs INVE/ETH and INVE/USDT are available. Hotbit is the second exchange on which InterValue gets listed after FCoin. InterValue plans to increase its listing count. InterValue is the world's first project of the Blockchain 4.0 era to reach 1,000,000 TPS. MainNet will be officially released at the end of 2018. Currently, the team focuses on implementation of cross-chain technology and DAG-based smart contract R&D in accordance with the roadmap. Progress is very fast. In parallel, InterValue is putting a lot of effort into DApp development and ecosystem construction. The team aims to provide a functional, highly performant and secure public blockchain infrastructure. Please visit our website for more information: www.inve.one. InterValue (INVE, ERC20 Token) is expected to get listed on Hotbit on November 5 and trading will start on November 6. Two trading pairs INVE/ETH and INVE/USDT will be available. Hotbit is a digital asset exchange that focuses on cryptocurrency trading. Listed assets include, among other, Bitcoin, Litecoin and Ethereum. Hotbit is the second exchange on which InterValue gets listed after FCoin. InterValue plans to increase its listing count. For more information and notifications about activities, please visit our website: www.inve.one. As a special guest of the "Silk Road Dream Tour", InterValue will be in Urumqi on October 20th to participate in a panel discussion and conference with the theme of "Blockchain Commercial Applications". InterValue's founder and CEO - Dr. Barton Chao, will give a presentation to introduce the multiple applications of blockchain technology. He will be accompanied by Professor Jiang Xinwen, Head of the Blockchain Research Institute of China's National University of Defense Technology. They will provide detailed tutorials and share information on technical issues and application scenarios in the blockchain field. During this event, InterValue will join hands with traditional industry entrepreneurs to discuss the application and development of blockchain. InterValue aims to build a prosperous ecosystem around the One Belt One Road initiative. On October 16, 2018, OSA DC officially announced a partnership with InterValue. The agreement is focused on two main problems of the Asian retail market: transparency and reliability. Since InterValue will become an International public chain, its strong technological strengths will create a perfect ecosystem with OSA. In addition, InterValue and OSA are signing a business development agreement to enhance OSA marketplace, as well as OSA marketplaces B2B and B2C applications. OSA DC CEO Alex Isaiev comments: "Without a doubt, InverValue can help OSA solve trust anddata sharing problems in the retail industry, and achieve a new model of retail operation." According to an official statement, FCoin will open INVE withdrawals on October 9 and users will be able to withdraw INVE tokens from their FCoin account. INVE is listed on FCoin with two trading pairs - INVE/ETH and INVE/USDT - and it enjoys a special status as FCoin has also opened a trading zone dedicated to InterValue. InterValue and HashStor, the most cost-effective professional IPFS mining machine, officially signed a long-term strategic cooperation agreement.HashStor is a distributed storage miner designed for IPFS mining. It uses a professionally designed chassis, CPU and motherboard for IPFS mining needs. HashStor has been engaged in the development of blockchain infrastructure and related hardware equipment for many years, providing customers with professional integration solutions about software and hardware. The specially designed Web configuration management interface makes the mining machine easy to use. The cooperation between InterValue and HashStor can be described as a strong alliance. InterValue will provide HashStor with comprehensive support for blockchain distributed storage. HashStor will also serve as a high-quality blockchain solution provider, driven by InterValue technology. The cooperation scope will gather both parties to jointly work in order to provide quality services to customers. InterValue project's ERC20 Token INVE officially got listed on FCoin at 8pm on September 26th. InterValue's trading space was opened to the public on FCoin. After the official INVE exchange listing, the trading price and volume both rose steadily. The InterValue community has been extremely enthusiastic, and many community members expressed confidence in InterValue , claiming that they will keep an eye on the future developments of the project. According to the official InterValue Foundation, INVE will be listed on more exchanges. INVE token listing on exchanges is a small step forward in our great journey.In addition, the InterValue plans to make major announcements and deliver important news . Stay tuned! On Sept 27th, 2018. FCoin launched two trading pairs for InterValue’s INVE token: INVE/ETH & INVE/USDT. INVE opened at 0.00006ETH, 0.013 USD, up to 0.000145ETH, 0.031USD, a 100%-rise. And is now quoted at 0.000127 ETH, 0.027 USD, up 95%. Currently, There are Three Wallets that Support InterValue (INVE) ERC20 Token: imToken. BiYong. COLDLAR. FCoin officially opened the INVE deposit on Sep 25 and plans to enable trading on Sep 26th, (GMT+8) 20:00. In addition, FCoin will launch two trading pairs for InterValue's INVE/ETH & INVE/USDT, and set up a trading space dedicated to digital assets based on InterValue's ecosystem. According to the official announcement, INVE will be officially launched on FCoin at the end of September. The specific schedule is as follows: deposit will start on September 25 and transaction will start on September 26. InterValue will set up a special trading zone on FCoin. Initially, INVE will be launched and the trading pairs between INVE/ETH and INVE/USDT will be opened. Token from InterValue ecosystem can be launched in InterValue trading zone thereafter. InterValue is the first practical blockchain 4.0 project in the world to support large-scale applications. The 2.0 test version has achieved a completely new HashNet consensus developed by InterValue technical team independently. TPS on a single shard breaks through 280,000. The TPS is unlimited theoretically. The overall capacity of the platform and the speed of transaction is beyond millions. It is in the leading position worldwide. InterValue will officially launch its main-net by the end of 2018. At present, it is continually promoting the research and development of cross-chain, DAG based smart contract according to the established roadmap. The overall research and development progress is without a hitch. The technical team will focus on the development of DApp and ecological construction, and strive to provide a practical public blockchain with high-performance and high-security. InterValue qualifies for Founder World Championship finals! CUC (US-China Blockchain Association) officially announced that InterValue was selected among 14 contestants from the first group of the semi-finals of the Founder World Championship and made it to the competition finals. InterValue won the unanimous approval of the judges and experts on the spot. 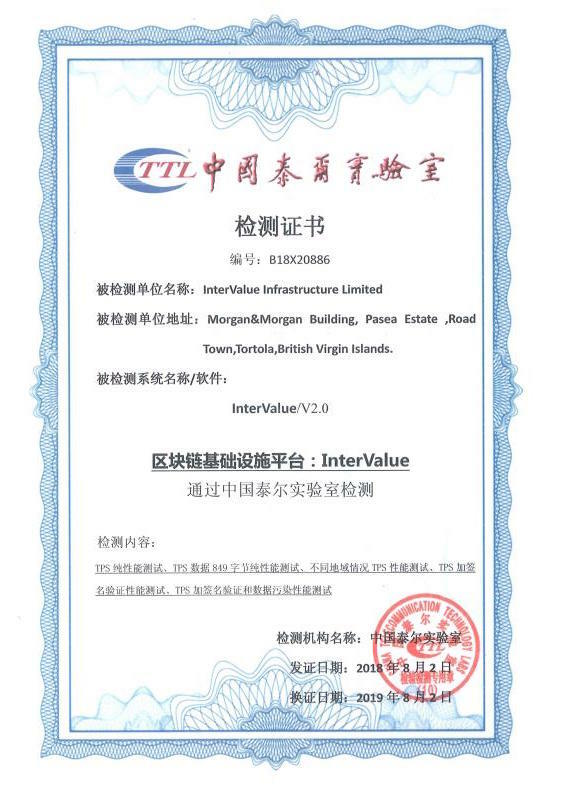 This selection was motivated by the strong capabilities of the project technical team, the innovative technical solutions that InterValue offers, the project roadmap, current implementation and the thorough review of the performance test issued by China Telecommunication Technology Labs to confirm the high transaction throughput claimed by InterValue’s network. Founder World Championship’s website: www.founderworld.com. In Beijing, on August 18th, InterValue Founder & CEO Barton Chao said InterValue has achieved 280,000 TPS under one shard. InterValue designed and implemented the HashNet consensus mechanism. The whole network exceeded 4 million TPS, which is at the top level of the industry. As the world’s first practical Blockchain 4.0 that supports large-scale applications. InterValue believes that Blockchain 4.0 is the industry infrastructure. The company based on Blockchain and aims to complete Blockchain ecosystem. The World's first Leading Million TPS Public Chain Technology Summit Forum” held on August 18, 2018. Hosted by the InterValue’s Foundation, “InterValue, Building an Ecology – The World's first Leading Million TPS Public Chain Technology Summit Forum” held on August 18, 2018, in Beijing. Yong Yuan, director of the Blockchain Committee of China Automation Society, Daxue Li,founder of Magnetic Cloud Technology, Barton Cao, founder of InterValue,Binsheng Wang, Professor of Graduate School of Chinese Academy of Social Sciences,Hongxin Zhang, Director of Digital Assets and Blockchain Research Institute of Zhejiang University,Xinwen Jiang, a professor at the School of Computer Science of the National Defense Science and Technology University, Wei Li, the founder of BodyOne,Pengsong Wu,founder of 2FChain,Lizhi Ran, founder of ROOTSCAP, Gaoqiang Li founder of BNCapital, and Fei Peng, product director of HashStor.They all gave a wonderful theme sharing. “What is the next step in the development of the blockchain industry? When will the phenomenon of block-level blockchain put into public? What characteristics should the blockchain infrastructure of scale application have? How can the blockchain infrastructure be built to break through the technical bottleneck of the application? How does the blockchain infrastructure provide comprehensive ecological construction? 15 strategic partners such as ICC, BodyOne, HashStor, DGames, Magnetic Cloud Technology, ROOTSCAP, BNCapital , Xidian, Beijing Institute of Technology, 2Fchain, BiYong, BX, and BiShijie. ROOTSCAP and InterValue R & D jointly established Xiangjiang Blockchain Research Institute. According to official news, the famous investment institution ROOTSCAP and the world's first blockchain 4.0 project that exceeds over million TPS. InterValue R & D team will jointly establish the Xiangjiang blockchain research institute. The ROOTSCAP founder of Lizhi Ran will be the initial initiator of the Blockchain Research Institute. He will also deeply participate in the research. The president of the research institute, Professor Xinwen Jiang, comes from the School of Computer Science of the National University of Defense Technology and Information Engineering of Xiangtan University. The general counsel of the research institute is headed by Allen Wu, the principal of the former Alibaba Group Technical Committee, the chief architect of Yahoo China, and the chief technical consultant of the InterValue project. The research contents of the institute include ①Blockchain project's development; ②Blockchain's economic model research and design; ③Published Blockchain's related patents, soft papers, books, technical articles; ④Blockchain's industry training; ⑤Blockchain's forward-looking research and exploration of the theory and application; ⑥Blockchain project's evaluation. The Institute expects more partners to join. 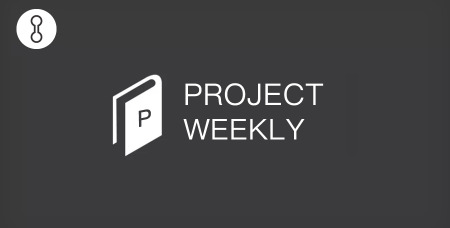 InterValue’s smart contract achieved phased progress. The first version of the virtual machine was developed. According to the official announcement, InterValue will officially release the INVE ERC20 Token at the end of July. The ERC20 team has tested and audited more than two smart contract codes, and invited the professional blockchain security team of National University of Defense Technology and Xi'an University of Electronic Technology to test the smart contract codes. InterValue is the world’s first to support large-scale practical blockchain 4.0 project. The online 2.0 version that has just been launched has achieved a new independent design of the HashNet consensus mechanism. InterValue 2.0 has reached a breakthrough of 280,000 TPS under 1 shard, and the platform's overall capacity and transaction confirmation speed have reached 1,000,000 TPS. It has a leading position, and InterValue will follow the original route to promote the related work, especially in the development of DApp and ecological construction. On the afternoon of 21 July, Allen Wu, the General Director of former Alibaba technical committee, China Yahoo Chief Architect, Principal Technical Advisor of InterValue. Xinwen Jiang, the professor of Computer Science, National University of Defense Technology, professor of Xiangtan university of Information Engineering. They went to Changsha had in-depth communication with InterValue team on the progress of InterValue, the implementation and testing of InterValue v2.0 testnet, successor development and arrangements of InterValue, community planning of and ecosystem construction of InterValue.